"New Zealand's popular national bird carries her little baby bird on her back. Safe and sound - as only a mother can." 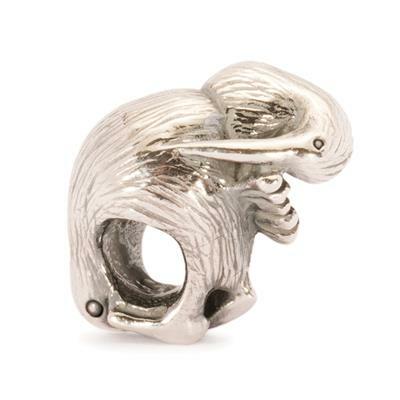 This sweet little Sterling Silver charm, designed by Martin Bruun, captures an adorable mother and baby Kiwi bird. Add it to your Trollbeads bracelet or necklace to symbolise New Zealand, or just as a celebration of nature.